It's being reported that audio guru (at least to me) Tomlinson Holman has been hired by Apple to oversee it's audio development. This is fabulous news for musicians, engineers, film makers, and all Apple hardware users since you couldn't get a better, more knowledgeable guy for the job. For those of you who don't know who Tom is, you certainly know a few of his creations. The famous THX standard that you see in most movie theaters today is his brainchild, and stands for Tom Holman eXperiment. Tom was the corporate technical director for LucasFilm when George Lucas asked him to create a spec to make the sound in theaters not only higher fidelity, but more consistent from theater to theater as well. You can thank him for the great sound we have the movies today as a result. 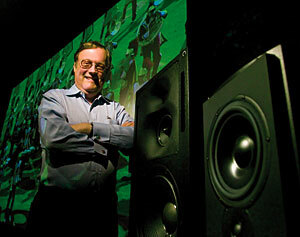 Tom was also the originator of the "5.1" surround sound concept and even coined the phrase (he later went on to 10.2). He was somewhat of a mentor to me during my years in surround sound. 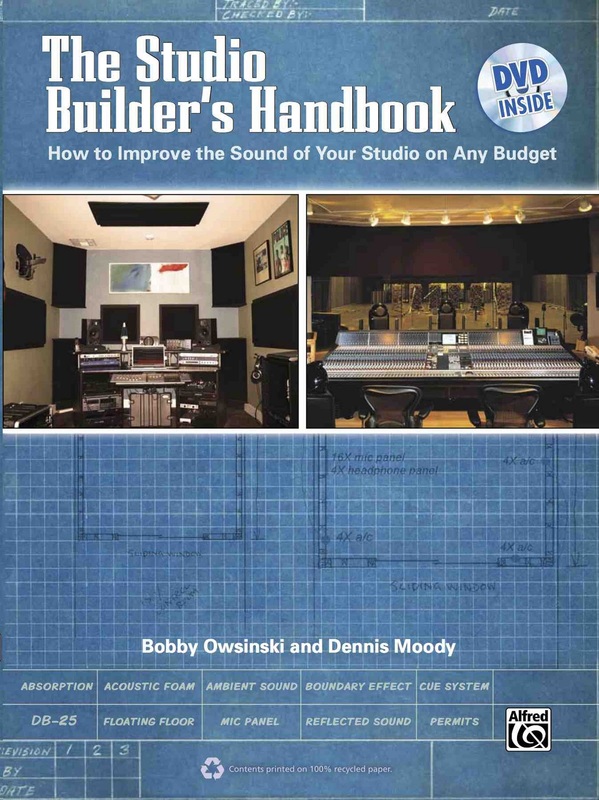 I can remember discussing some of the problems in surround calibration that I was having at a Grammy seminar during the early days when we were all searching for answers and tools, and generally being put down as not knowing what I was talking about. Tom was the only one who understood my problem, which lead to a number of standardized calibration test tapes that were vital in the early days of the medium. Tom is truly an audio scientist (he's a professor at the film school at USC) and he's forgotten more than most people in the business have ever known. There are a few giants in the pro audio business (Rupert Neve and George Massenburg come to mind), but Tom stands shoulder to shoulder with them. We're all going to be better off with his association with Apple. Today we'll so a song analysis of a song that's number 12 on the Ultimate Chart and a former number one in Britain. It's British rapper Tinie Tempah's "Written In The Stars " featuring Eric Turner. The song is from his debut album Disc-Overy . Like every song analysis, we look at the song itself, the arrangement, the sound and the production. Two slightly different features is the songs begins with the chorus, and the interlude is vocal instead of the usual instrumental. What's cool about this song is the development, which is certainly needed for a song with a simple form. It builds and releases, builds and releases, just like most hits. * The Lead: The melody vocal, which is doubled by the piano in the chorus, and rap. * The Fills: Synth during the verse. The sound of "Written In The Stars" isn't what I'd call "state of the art." The vocals are a bit spitting because of the compression, and there's a hint of distortion on everything, although that may have been intentional. One of the things that's common to most rap songs is the huge kick sound, which can be found here. The snare sounds like a distorted sample that has a long envelope thanks to the compression and reverb. One of the things that I cool was the tape echo, which you can hear on the repeats of the vocal as the song fades out. You can tell it's a tape echo (or at least a simulator) by the poor frequency response and the distortion on the repeats. The production by iSHi is really good as you hear a lot of subtle parts that add to the development of the song as it goes along. Parts are brought in and taken out in an effort to add some tension and release, which happens between the beginning of the verses and the rest of the song. The interludes are different because they're vocal in nature instead of instrumental like more songs, which adds a nice bridge between the chorus and verse. The second one also adds a harmony for development. Send me your song analysis requests. 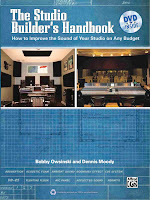 It's time for another book excerpt, this time from The Studio Builder's Handbook . This time it's regarding a problem that most home studios have - low ceilings. 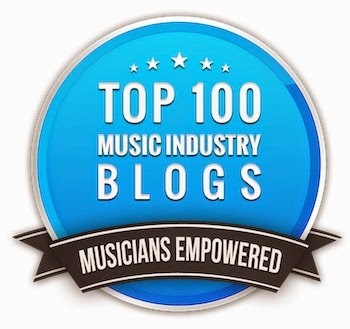 What most musicians and engineers don't know is why they're usually bad for sound and hopefully this article will offer an explanation. As a bonus, I've included a section on studio floors as well, since a frequent question is whether it's better to cover it with rug or leave it hard. "Low ceilings are another frequently encountered factor in a room. While a low ceiling (8 or 9 feet) isn’t that much of a problem in a control room, it’s a different story when it comes to a tracking room for a couple reasons. First of all, the sound from most of the drum kit (especially the cymbals) projects upwards and will splash off the ceiling (especially if it’s a hard surface) back down towards the drums, causing some frequency cancellation and altering the sound of the drums as a result. Secondly, a low ceiling is the sworn enemy of overhead mics. This is because with an eight foot ceiling (for example), you frequently can’t get the mics up high enough to capture enough of the kit. As a result, the overhead drum kit mics are relegated to being cymbal mics (although this may be OK under the right circumstances). If you raise the mics up near the low ceiling, you may capture some of those unwanted reflections, thereby altering the sound of the kit. Higher ceilings of at least 10 feet (12 to 15 are best) eliminates these problems, which is why everyone likes recording in studios that have them. If you’re locked into a room with a low ceiling, the only choice you have is to treat it to either deaden the reflections, or at least make them sound as good as possible. Regardless of the space you’re dealing with and its ultimate use, the question of what to do with the floor always comes up. Should it be soft with carpet or hard and reflective with wood or cement. If you have a choice, you’d rather make the ceiling soft and the floor reflective for several reasons. First of all, you can always put a throw or area rug down on a hard floor as needed, but an even bigger reason is the psychological aspect. Having a hard surface below our ears gives us a reference point that’s familiar and always consistent, which inherently feels more comfortable to us. The ceiling doesn’t have to all be soft. You can hang sound panels from the ceiling (sometimes called “clouds”) at the same ratio of placement as on the walls. Just make sure they’re extra secure so no one gets beaned in the middle of a session if one works loose. For the tracking room, you usually want to keep the floor reflective, so wood or cement is fine. Just put a light carpet under the drums or other acoustic instrument to keep them from moving and also keep the reflections down. That being said, the smaller the tracking room, the more you want to contain the ambience. That’s because the reflections of a small room usually aren’t that great sounding because of the room modes (as we just saw), and we actually start to hear the smallness of the room. The more we keep them under control, the better everything in the room will sound." Reader David Pigman had a number of requests for song analysis, but one was particularly interesting and that's U2's "Two Hearts Beat As One." This was the 2nd single from the bands massive breakthrough album War that became an international hit and pushed the band to stardom. As with all song analysis, we'll look at the song itself, the arrangement, the sound and the production. What's interesting is that most songs use the B section as sort of a bridge between the verse and chorus, but this one has the B section coming after the chorus, and then uses it as an out-chorus as well. Interesting. U2 normally has some interesting arrangements, but this one is pretty straight ahead. For the most part they stay within the power trio format of guitar, bass and drums, but add just enough extra elements to keep it interesting. In this case it's the use of Edge's harmonics in the chorus against his quarter note chunks. Both compliment each other well. * The Foundation - Bass and drums, although Adam Clayton's bass pushes the song. * The Pad - Edge's guitar harmonics during the chorus, but they're not played like a traditional pad. * The Rhythm - Larry Mullen's disco high-hat during the verse. * The Lead - Bono's lead vocal. * The Fills - The background vocals against the lead in the chorus. A number of things jump out about the sound. The first thing is how little low end there is on this record. Second is the short room sound on the drums, especially the snare. It almost sounds like a double. Third is the amount of reverb on the lead vocal, which is a lot. The top end is rolled off so it doesn't get in the way, and it's slightly delayed, but there's a lot of it and it's pretty long. Steve Lillywhite does a good job here just capturing the feel of the band yet not getting too heavy handed with sweetening and layers. There are a few, but not many. Plus the energy of a live U2 show is captured, which is the ultimate goal of every producer in the first place. I've written about the great Wrecking Crew movie before, but here's something different about it. It's an interview with producer Denny Tedesco along with some great clips from the movie. Unfortunately, it hasn't been released yet due to the fact that there are so many hit songs in it that the music licensing is enormous. It has won awards quite a few film festivals though. Even if you don't know who the Wrecking Crew is, you've heard them before - a lot. They were the studio band for every hit that came out of LA in 60's and some of the 70's. The group played on almost every style of recording, including television theme songs, film scores, advertising jingles and almost every genre of music, with artists that included The Monkees, Bing Crosby, Nancy Sinatra, Bobby Vee, The Partridge Family, The Mamas & the Papas, The Carpenters, John Denver, Simon & Garfunkel and many more. Enjoy this great clip. Find out more about the movie at Wrecking Crew Film.com.